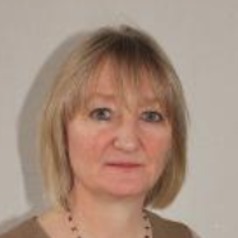 Professor Isobel Anderson is Chair in Housing Studies in the Faculty of Social Sciences at the University of Stirling. Research She leads the Home, Housing and Community Research Programme and is a member of the Public Services and Governance Research Group. Isobel’s main research and PhD supervision interests are in homelessness and access to housing; sustainable housing and communities; inequality and social exclusion; housing and health/well-being; participation and empowerment; international comparative housing studies; use of evidence for policy and practice. She is active in the European Network for Housing Research (ENHR). She was founder and joint co-ordinator (2003-2013) of the ENHR working group on Welfare Policy, Homelessness and Social Exclusion. Since 2015, she has been joint co-ordinator the working group on Housing in Developing Countries. Isobel is also a member of the Women’s Homelessness in Europe Network (WHEN). She was previously UK researcher for the European Observatory on Homelessness (convened by FEANTSA, the EU association of national homelessness agencies) and remains on the international advisory committee of the European Journal of Homelessness (www.feantsa.org) Teaching Isobel teaches on the Post-Graduate MSc/Diploma in Housing Studies (full-time & part-time programmes).